Is AppleCare+ worth it for your new iPhone? I live in New York City, and at least once a day I see someone on the subway using an iPhone with a shattered screen. Sure, at least it’s still working, but I couldn’t live like that. I’d be terrified of tapping too hard and dislodging a microscopic fleck of glass into my fingertip. 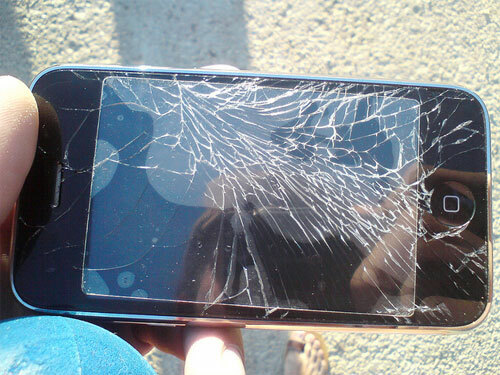 Not to mention the hassle of trying to read a text message through a spiderweb of cracks. But iPhones aren’t cheap, and fixing a broken screen, or worse yet, a waterlogged phone, can be a costly proposition. If you just bought a new iPhone, Apple offers AppleCare+, which extends your hardware repair coverage from 90 days to two years. But Apple recently raised the service fee for repairs, from $49 to $79 per incident. On top of the $99 plan, is it worth it? When you first buy an iPhone, Apple provides you with 90 days of complimentary tech support and one year of hardware repair coverage (not including accidents). Within the first 30 days of buying the phone, you also have the option to purchase an AppleCare+ plan, which extends your repair coverage and tech support to two years. If you’re a typical smartphone user, that should mean you’re covered through the length of your phone contract, or right about when you’re probably thinking about buying a new phone. AppleCare+ provides repair or replacement coverage, including parts and labor, for your iPhone and battery, as well as the included earphones, accessories, USB cable and power adapter. All you have to do is bring your broken device to your local Apple store or mail it in with a prepaid shipping box from Apple. I’ve used it before and it’s a pretty simple, seamless system. AppleCare+ costs $99 per iPhone. After that you are covered for two incidents of accidental damage — be it a completely cracked screen or a phone dropped in the toilet that no bag of Uncle Ben’s can dry out. Each incident costs $79, and Apple will repair your device if possible and offer you a replacement if not. This fee is actually higher than it was when the iPhone 5 was introduced. Until the iPhone 5s and iPhone 5c, Apple charged a $49 incident fee (you’ll still only have to pay $49 if you’re already locked into an old AppleCare+ plan). So let’s say you buy a brand new iPhone 5s and eventually you drop your phone and crack the screen. With AppleCare+ it’s going to cost you a total of $178 for Apple to repair or replace your phone. If you drop it again, you’re looking at a total of $257. Now, if you don’t have AppleCare+, and you didn’t know what else to do other than buy a new phone, an off-contract iPhone 5s starts at a whopping $649. Based on that alone it certainly makes AppleCare+ sound like a good deal. But there are plenty of ways around this. Right now Apple doesn’t provide estimates for iPhone 5s repair unless you bring your broken phone to the Genius Bar. But earlier this year Apple announced that it would repair a broken iPhone 5 screen for $149 outright. If this remains the same for the iPhone 5s, it would actually be less expensive than AppleCare+, as long as you only crack your screen once. But this price doesn’t cover other damage, like a wet phone. For damages that can’t be repaired, Apple will sell you a replacement phone. Again, prices aren’t clear unless you pay a trip to the Genius Bar, but Apple charges $229 to replace a broken iPhone 5. So in instances like this you’ll likely save money with AppleCare+. You can also get your device repaired outside of Apple. I called Tekserve, a New York-based store that provides Apple device repair, but they don’t have replacement parts for the new iPhones yet, let alone pricing information. Another option is to sell your broken phone and put the money towards something new entirely (an iPhone 6, perhaps?). There are plenty of outlets where people are willing to pay top-dollar for a broken iPhone, like craigslist and eBay, all the way to sites that specialize in this sort of thing, like iCracked. You might be able to make enough money to cover more than half the full price of a phone bought off-contract. If you’re willing to rough it out and take your chances, there will likely be a solution to repair or replace your phone for less than the price of AppleCare+. But it’s going to require some research, and it’ll likely take more time and energy than a simple trip to Apple. On the other hand, if you’re prone to accident, exceedingly lazy, or you just bought a new iPhone to replace the one you broke, then yes, AppleCare+ is a good way to go. i dropped my iphone 5 once and the dent is nasty and have been trying to get it fxed but doesnt like look apple store will. replacement fee is $269 and warranty does not cover accidental damage. -Or- just get a decent case, and stop dropping your iPhone like a freaking klutz. I went to a mom and pop shop and they replaced my broken iPhone 4 screen for $60. And I didn’t have to pay anything for applecare. Or you could buy the glass cover from the internet and fix it yourself. Or you could take it to any number of repair shops and get it fixed for half what Apple charges. You tech writers act like apple is the only option. Even with the higher deductible it’s still worth it because you get the extra year of coverage and Genius Bar service. No mailing phones anywhere so long as you’re close enough to an Apple Store. The manufacturer’s warranty doesn’t cover all hardware issues. It covers defects and issues that weren’t caused by the user. For instance, it certainly won’t cover a cracked screen. Whereas AppleCare, as the author mentioned, would. According to Apple you have 30 days to purchase AppleCare+ for a new iPhone. But I did clarify that the limited warranty doesn’t cover accidental damage. Charge your purchase to an AMEX. They will provide you with the exact same coverage once the Apple default warranty (1 year) runs out. Hence you get 2 years without extra cost!! Most good credit cards will do this now. I know my Visa backed by Citi offers this, as do a couple of other cards we have. Obviously check to make sure before you buy something, but it’s not as unusual as it was a few years back. I don’t think AMEX covers accidental damage though right? Like dropping the phone and cracking the screen. I have a platinum amex charge card (the one with the $450 annual fee) and I know my card covers normal “warranty” like factory defect.